Are you looking for a dentist to offer you the best possible advice about your oral health and smile? Whether you are visiting your dentist for a regular examination or to seek their advice regarding an on-going problem, it’s important for you to visit someone that is friendly, knowledgeable and experienced. Here at City Dental Practice that is exactly what you will receive. Owner and principal dentist, Amit Kohli is still as passionate about dentistry as he was when he first graduated from Manchester University in 2003. Amit has continually developed his skills and gained a wealth of experience during his career, so you’re guaranteed to receive exceptional care. After leaving Manchester University, Amit stayed in the North West and worked in a practice that cared for both NHS and private patients for his foundation year. He then moved back to the Midlands, where he worked in Bilston, a market town just outside Wolverhampton. During his time in Bilston, Amit continued to develop his skills as a private dentist and in 2013 he decided to move to Birmingham and establish City Dental Practice. 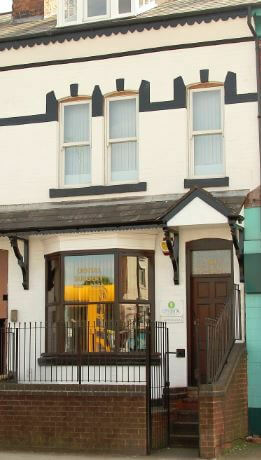 Mr and Mrs Ubhi first established the dental surgery in 1983. As the practice hadn’t really been updated during this time, Amit felt that it was important to bring it into the digital age. All patient records and appointments are now computerised and we only use the latest digital x-ray equipment. Amit also modernised the whole interior, making it look bright, fresh and comfortable. To this day, patients who had known the practice before still comment on how pleasant it looks now, which is lovely to hear. Another reason we can confidently say you will receive outstanding care is because in 2014, City Dental Practice was inspected by the Care Quality Commission (CQC) – the independent regulator of health and social care in England. The inspector passed the practice with flying colours and Amit was subsequently asked to become a CQC dental expert to assist with inspections. Amit and his team are also multi-lingual. Amit speaks fluent Punjabi and Hindi, which he has been very useful as he treats lots of people from the Asian subcontinent. He also tends to see three generations of the same family in one day, which not many dentists can say. I think it’s safe to say that we’re a people practice… we treat people, not just teeth. Hence the reason we try to see and treat you the same day; we tailor-make treatment plans to fit around you and your busy schedule. We also listen to you and offer you the most honest advice about your dental needs.